ToyoMotors has been your trusted source for auto repair in Phoenix for over 35 years. As our name implies we are Phoenix’ oldest and largest certified independent Toyota Repair Experts. As such we know Toyota products very well, and have been providing Phoenix Prius repair for nearly two decades! I guess you can say we are a little ahead of the learning curve when it comes to Prius repair and service. The name Prius comes from a Latin word meaning “to go before”, Toyota says they chose the name because the Prius was created before environmental awareness became a mainstream issue, now everyone is jumping on the hybrid band wagon. Toyota hybrid auto technology has been on the market for over 16 years, that even seems weird for us to say, and we’ve been servicing Prius vehicles since inception. It feels like the Toyota Prius just came out, and yet we are in the third generation. So what makes us your number one choice for Prius repair Phoenix? Experience… nearly two decades of Prius Repair Experience. 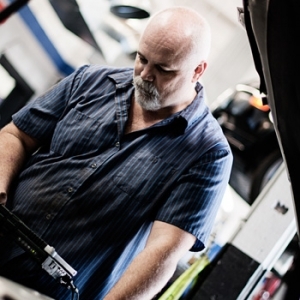 We are 100% Honest with over 35 years of auto service in Phoenix. We are a family business who truly listens, and values you as a client and friend. All of our technicians are certified to master status. Dealer level training and certification at inception. Factory Toyota Prius diagnostic software and scanning abilities. Proprietary NiMH hybrid battery analyser. Proprietary NiMH hybrid battery charge/discharger. 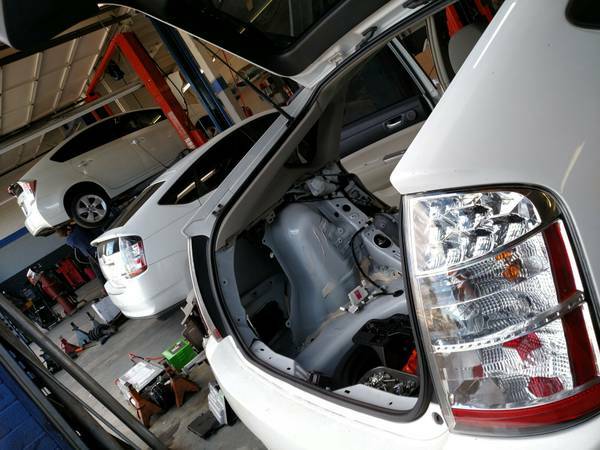 Our Prius repair and service experience far surpasses any independent shop or Toyota Dealer. When it comes to new clients and vehicles, we have found no other vehicle like the Prius, where most come to us having neglected and overlooked preventative maintenance, and many more with misdiagnosed repairs almost always leading back to the previous service provider not having the proper knowledge, training and equipment to service and repair the Prius. Bottom line we provide expert level service and repair in Phoenix for Toyota Prius vehicle owners, with integrity, pinpoint accuracy, and great value. Call Today at 602-971-8137 to schedule an appointment.